Everyone’s favourite gaming-themed burger joint 8bit has clocked up four years of life — and what better way to celebrate that little milestone, than with more of the good stuff? This time around, 8bit’s taking on an international classic, dishing up its own take on the humble Big Mac. Fittingly dubbed the Big Pac, this one’s a tasty tower rocking two beef patties, lettuce, pickles, double American cheese and a special Pac sauce. 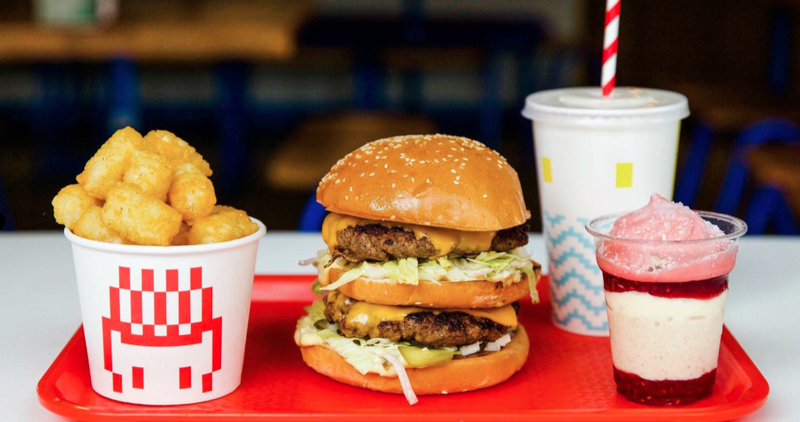 The burger hits both 8bit stores — in Footscray and the CBD — from Monday, November 5, and is set to stick around for a whole month. It’s available solo for $16.50, or matched with your choice of side and drink as part of a Big Pac meal-deal for $20. If you’re feeling extra celebratory, you can even add on an 8bit birthday sundae ($8). It’s a limited-edition collaboration with Gelato Messina, featuring brioche gelato and raspberry puree, with white chocolate and pink coconut icing.